because I've got a triple serving for you! and she had a blast with the new sets! I'm delighted that she stopped back in to share a few more projects she created. Check out this adorable tag using Beanstalks! 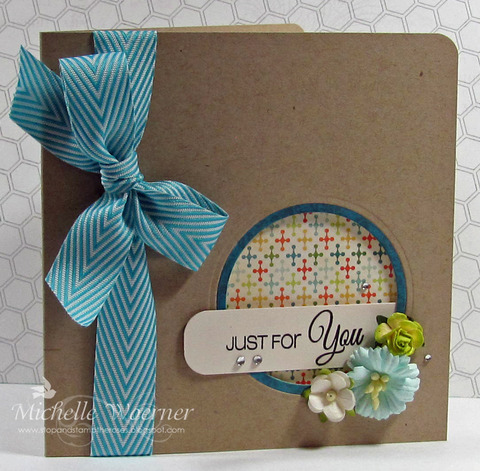 Next is this yummy window card using Only You. and reaching out of the window. Proof positive that while the designs are CAS, they fit any stamper's style! 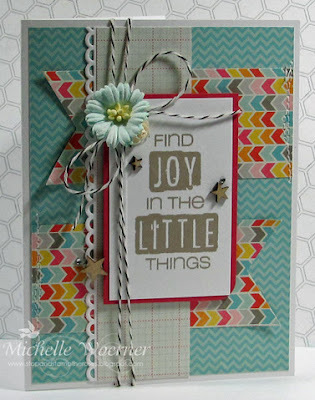 I love her fun layers and cool embellies. These are so awesome! Michelle does such great work!